Planning a vacation can be daunting when you aren’t familiar with a destination. When time is at a premium and you want to see, ski and experience as much as possible with the SkiBig3 Lift Ticket and all its benefits, help make the most of your limited vacation time. Here’s a sample itinerary for your next short and sweet ski vacation (3 ski days, 4-night stay), starting with some handy background info. Day 1: Arrive in Banff, gear up then explore the many shops & restaurants along main street in Banff. 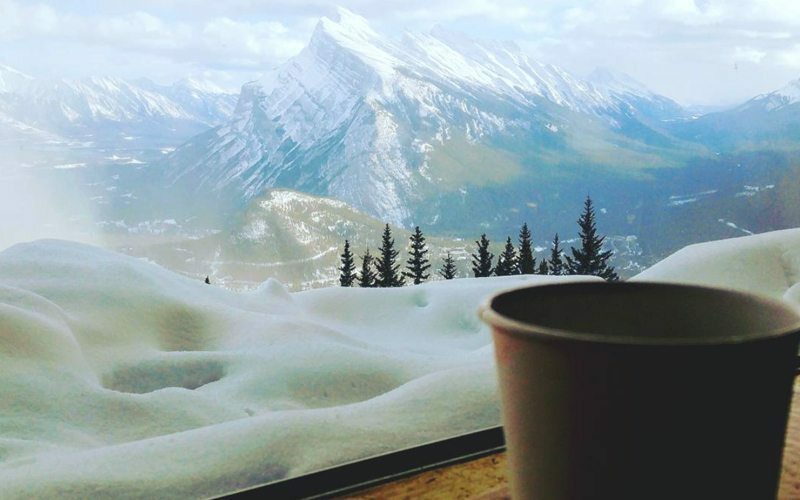 Day 2: Experience skiing, tubing & spectacular town views at Mt Norquay. Day 3: Ski the high alpine at Banff Sunshine before an evening soak in the Banff Hot Springs. 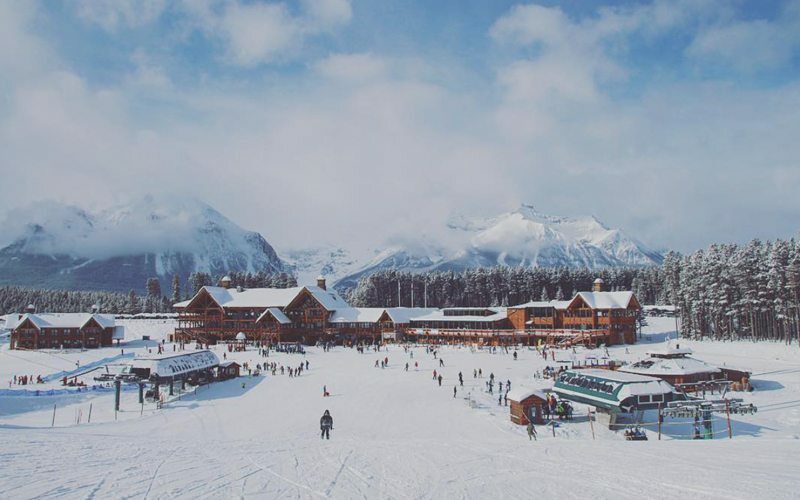 Day 4: Head west for a day at the Lake Louise Ski Resort and check out all things this charming hamlet has to offer. 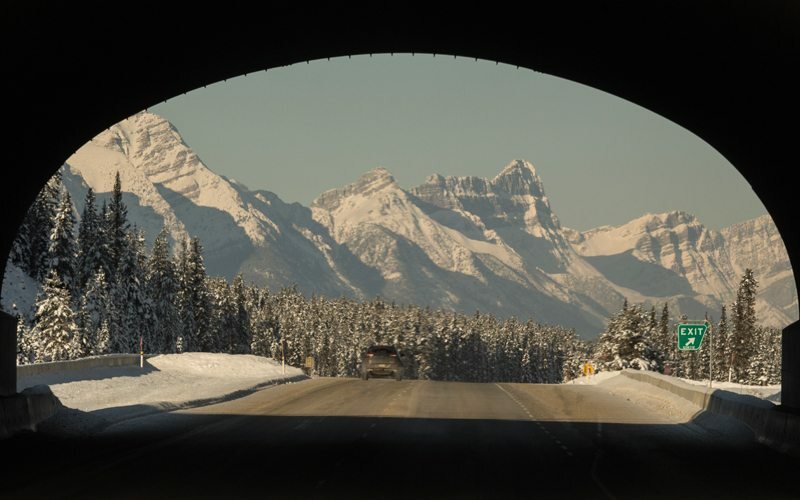 If you’re planning to fly to Banff, the closest airport is located in Calgary, within an easy 90-minute drive. Frequent airport transfer services are available between Calgary International Airport and local hotels. Our reservations specialists can book these transfers for you as part of your vacation package. Car rentals are also available if you’d prefer more freedom to explore at your own pace. Don’t forget that ski shuttle services are included with your SkiBig3 Lift Ticket purchase, so transport from your hotel to each of the Big3 resorts is sorted. 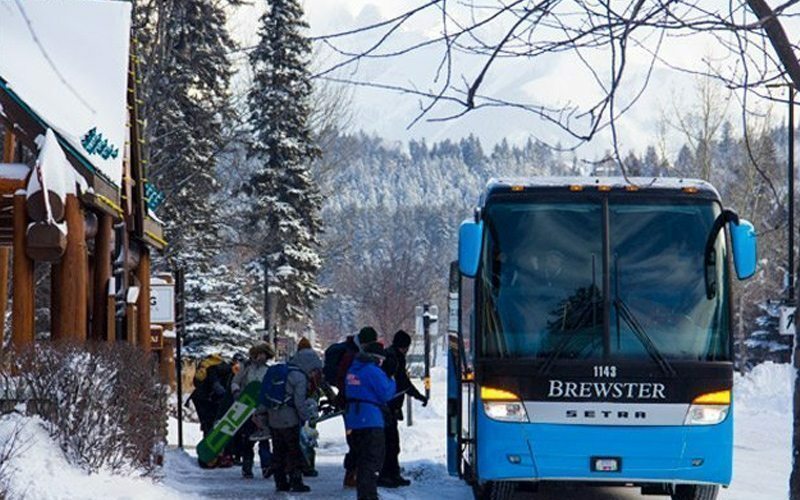 Ski shuttles between Ski Big 3 resorts and local hotels make transport a breeze. Whatever your taste and budget, you’re spoilt for choice with accommodation options in Banff and Lake Louise, from luxurious castles and comfy condos to budget-friendly hotels. Insider tip: the early bird really does get the worm here. It pays to book early to get the best options and the best prices. Once you’ve arrived at your hotel, your SkiBig3 Lift Tickets will be ready to collect at check-in (if purchased 3+days in advance). Collect your rental gear (skis, snowboards, boots and more) from the Banff Adventure Hub, then you’re ready to hit the snow the next day. Reserving your equipment in advance of arrival offers a number of benefits: guaranteed access to a variety of top-rated equipment most suited for Canadian Rockies terrain, no extra luggage charges on flights, and hassle free pick up & drop off. Once you’ve tried on and sized up your equipment, the Banff Ski Hub team will have it delivered back to your hotel. Visit the Banff Ski Hub at 119 Banff Ave, downtown Banff, for a variety of quality rental gear. With your lift tickets, rental gear and transport all in order, you’re ready to kick off your first ski day the next morning. But first, food! 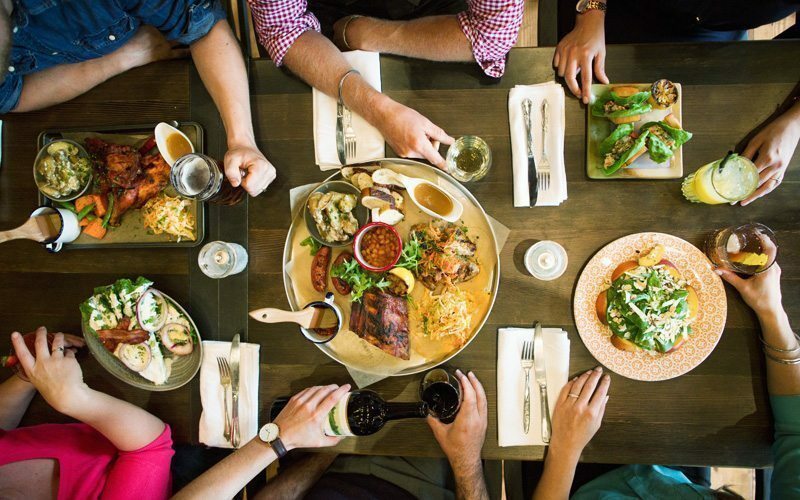 For your first local meal, head to the hotspots on Banff Ave, the main street in town, home to a variety of comfort food havens. Enjoy smoky mountain-inspired cuisine and house-crafted cocktails at Park Distillery, or go bowling with your travel buddies at High Rollers, specializing in pins, pints and pizzas. Banff National Park is home to a variety of dining options, including local hotspot Park Distillery. 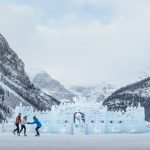 Photo: Paul Zizka/Banff & Lake Louise Tourism. Start your first ski day with a hearty breakfast—whether you’re looking for something light and energising or hot and satisfying, you’ll find lots of variety at local eateries. Tooloulou’s is a popular choice, known for their impressively long 5-page breakfast menu (as well as a dedicated gluten-free menu). While you wait for your meal, check out the daily snow report and our guide to the top runs at each ski resort. 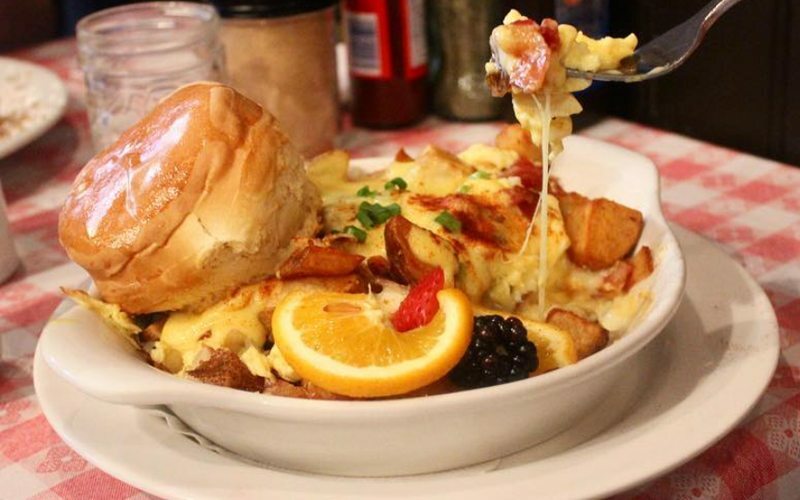 Tooloulou's Breakfast poutine is the stuff of cheesy breakfast dreams. Photo by @laladoubleyou on Instagram. 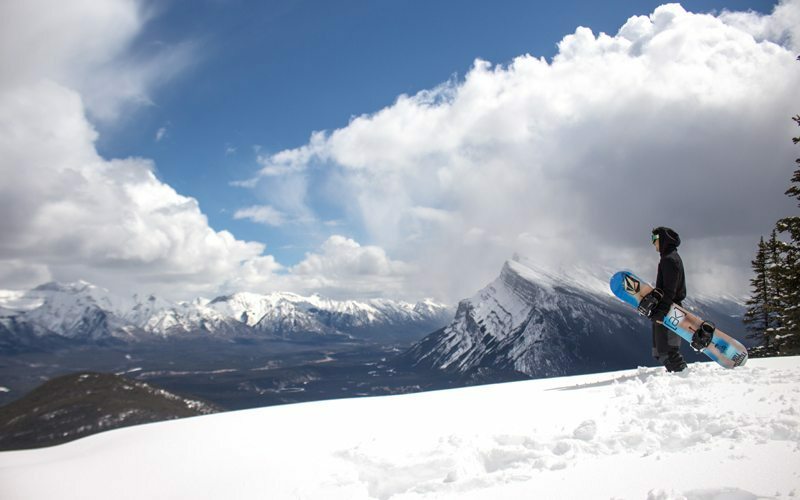 For day one on the snow, warm up your ski legs and take in the stunning views at Mt Norquay. Located just 10 minutes from Banff via ski shuttle, Norquay is head of the pack for ease of accessibility. 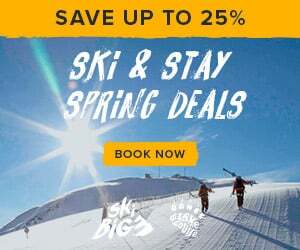 Here you can hit the slopes sooner and maximise your powder-shredding time. 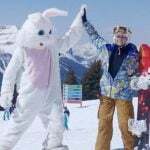 Norquay is also known for its excellent Tube Park (the largest in Western Canada), offering seven tubing lanes and guaranteed thrills. 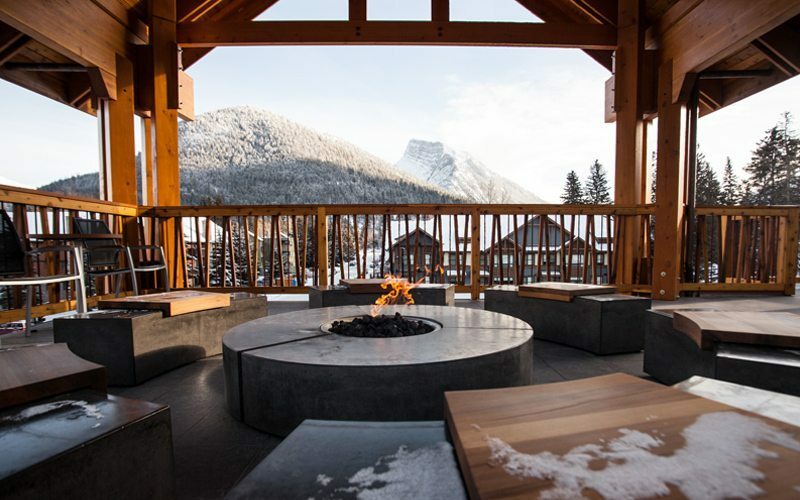 Insider tips: head to Norquay’s Lone Pine Pub for great lunch options, or ride the North American Chairlift to Cliffhouse Bistro for some of the best views across the Bow Valley. While the North American Chair provides access to expert terrain only, skiers and snowboarders of all abilities can still enjoy the views. Simply ride the chairlift up to the top, take in the sights, then ride the chairlift back down again to access beginner or intermediate areas. For your second ski day, enjoy a breakfast that’s sure to make sure to satisfy. Mel’s (Melissa’s MissSteak) and Coyote’s Southwestern Grill are popular local-magnets with extensive menus and a great atmosphere. 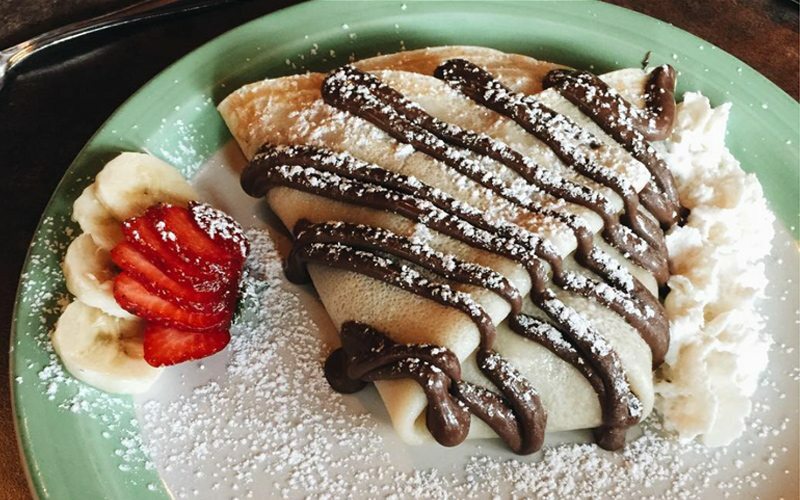 Mel's banana nutella crepes are a tasty way to start your ski day. Photo by @harmansharda on Instagram. Then jump on the ski shuttle to Banff Sunshine, a short 20-minute jaunt west of Banff. Enjoy the scenic gondola ride to the top of this mighty mountain where you’ll find some of Canada’s best snow. 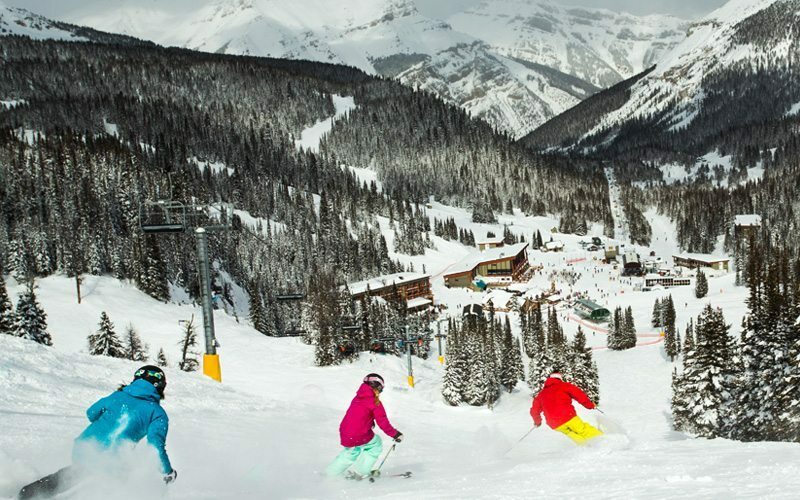 Known for its dry champagne powder that lasts all season—from November until late May—Sunshine boasts the longest snow season in the Canadian Rockies. 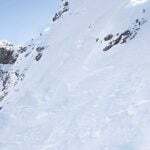 Here you’ll find an abundance of terrain suitable for all experience levels, from long blue cruisers on the Great Divide to the legendary Delirium Dive freeride zone, guaranteed to challenge even the most adventurous experts. At Sunshine you’ll find a number of popular on-mountain eateries. Stand-outs include Mad Trapper’s Saloon (don’t miss the deep-fried pickles) and Chimney Corner, or Java Lift for a great coffee. Sunshine Village is home to the longest non-glacial ski season in Canada. Photo: Paul Zizka. 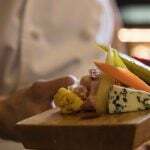 Top off your day with a hearty dinner in downtown Banff: try Grizzly House’s popular fondue, or Canadian inspired cuisine at the Maple Leaf Grill & Lounge. 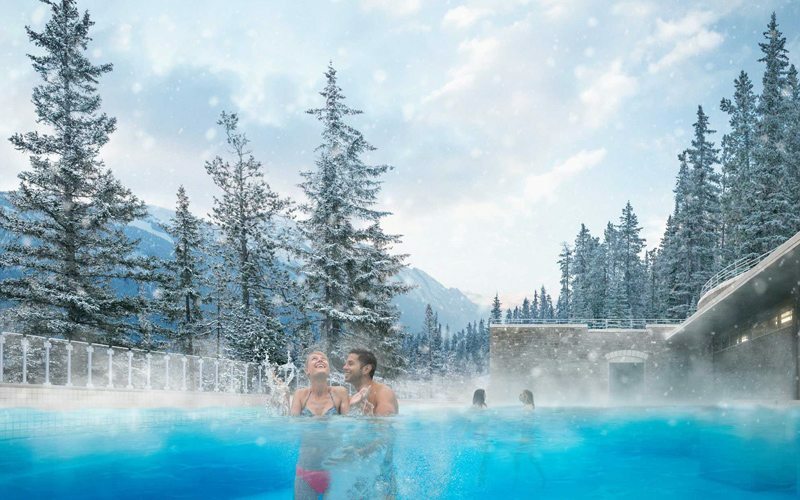 End your evening with a relaxing soak at the Banff Upper Hot Springs—complimentary access is included with your 3-day SkiBig3 Lift Ticket purchase. Enjoy a relaxing soak with great mountain views at Banff Upper Hot Springs. 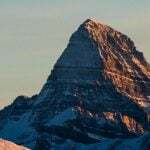 Photo: Travel Alberta. 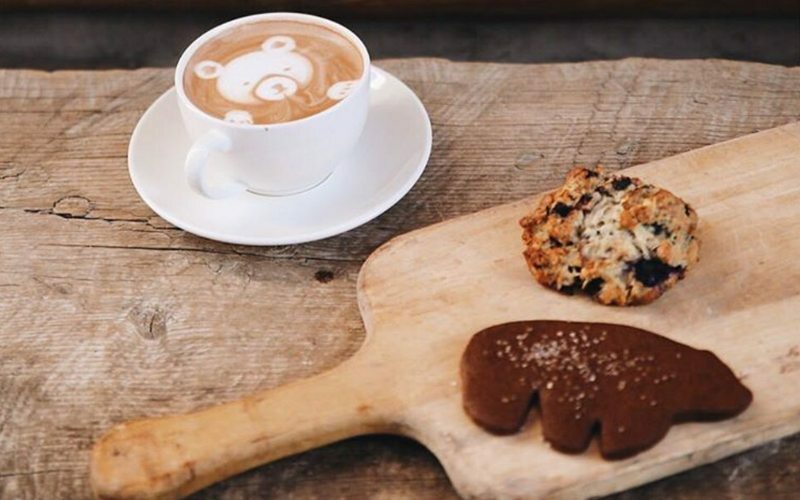 For your final ski day, fuel up with a tasty breakfast-on-the-go at Wild Flour Artisan Bakery Cafe, known for its selection of decadent baked treats, soups, sandwiches and specialty coffees. Now it’s time to tick off the third of the Big3: The Lake Louise Ski Resort. Enjoy gorgeous views during the scenic 40-minute shuttle ride to this unique winter wonderland. Breathtaking scenery and unbeatable runs make this destination a powder-seeker’s paradise. 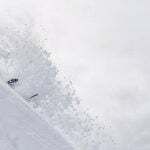 Here you’ll find a variety of terrain for all ability levels, from scenic groomers to challenging leg-burners. For another on-mountain adventure, fly down the hill in a donut (snow tube) at the Sunny Tube Park. A big ski day makes for a big appetite! Enjoy a hearty bowl of ramen or fresh sushi at Kuma Yama, warm up with a mug of the resort’s best coffee at Temple Lodge Café, or treat yourself to memorable fine dining at Whitehorn Bistro. Lake Louise Ski Resort is minutes from the heart of Lake Louise. Photo: @phil__holmes via Instagram. When your ski day is done, take the ski shuttle back to Banff and make the most of your last night. 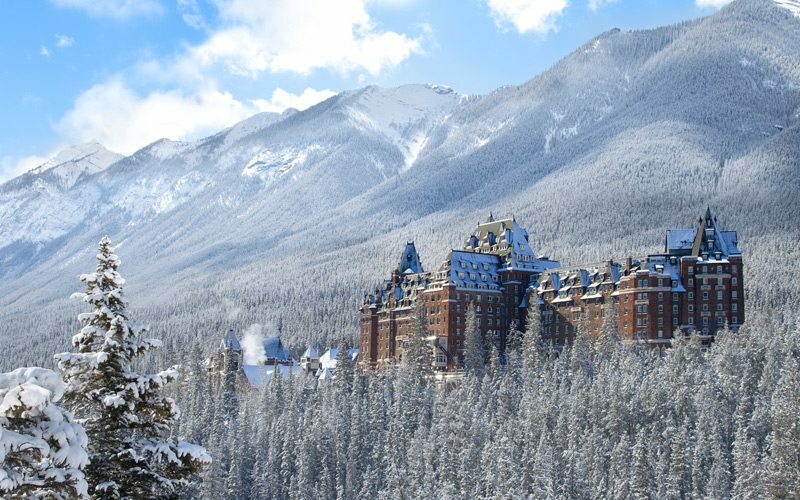 Celebrate your visit in style with an indulgent dinner at Canada’s “Castle in the Rockies”, the iconic Fairmont Banff Springs. Here you can choose from 13 upscale in-hotel eateries—stand-outs include Waldhaus Restaurant, Grapes Wine Bar and Samurai Sushi Bar. Then take in the sights with a stroll around the grounds of this grand property. For a more casual evening, head to the popular Bear Street Tavern or Banff Ave Brewing Co. for dinner, then enjoy some evening sightseeing around downtown Banff—an abundance of Instagram-worthy photo opportunities are waiting for you to discover! "The Castle in the Rockies" is one of the most spectacular properties in Banff National Park. Photo: Fairmont Banff Springs Hotel by Paul Zizka. Ready to book an unforgettable ski vacation? Our friendly Reservations Team is always happy to share their local knowledge and experience to help you find the best ski vacation packages for your taste, style and budget. Check out our featured vacation packages or call us on 1-844-754-2443: our based-in-Banff Reservations Team are here to help!